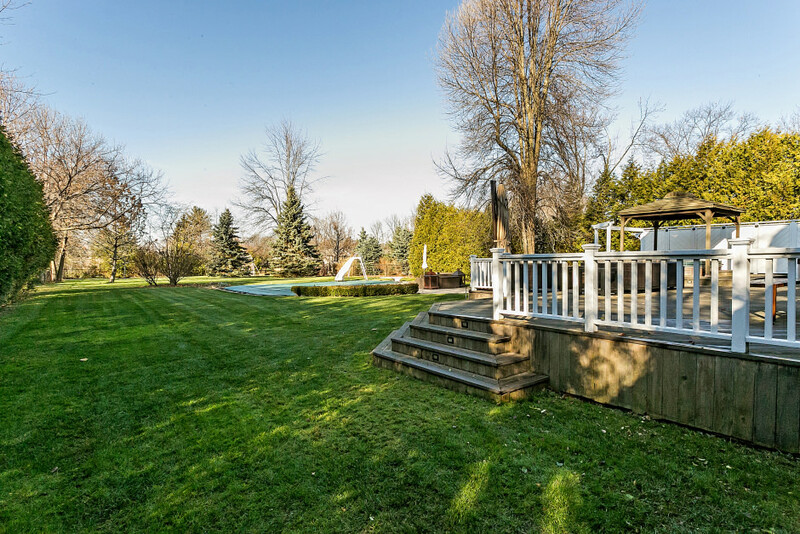 This stately home features lake views from most of its principal rooms and a park like 326’ deep lot with a North West facing backyard, located on a quiet court close to Appleby College. The backyard paradise is completely private throughout the four seasons with beautiful landscaping and mature trees. Enjoy superb sunsets on a huge deck overlooking the oversized saltwater pool in your private oasis. An entertainer's dream! The entire home has been completely renovated with over 5,000 square feet above grade, including 5 bedrooms and 3.2 bathrooms. A stone façade opens to an expansive foyer open to the landing above. Wide plank Brazilian hardwood flooring extends throughout the main and second levels of the home. 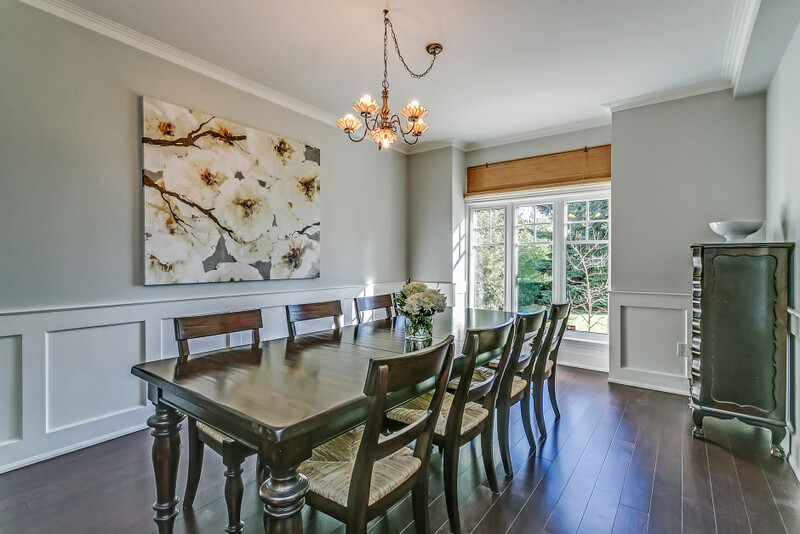 This extensively renovated home boasts intricate millwork including deep baseboards, elegant wainscoting, and crown moulding throughout. The foyer is flanked by a separate dining room and formal living room with gas fireplace with granite hearth and surround, with both rooms offering lake views. The living room opens to a large family room with surround sound speakers and a wood-burning fireplace with granite surround and hearth flanked by a custom built-in entertainment center. Double French sliding glass doors open to the rear yard and cedar deck. Hidden pocket doors provide access to the mudroom and triple tandem garage. The hub of the home is the gourmet-eat in kitchen. High-end materials add a polished element to this family-friendly space. Custom full-height soft-close cabinetry features under cabinet lighting, accentuating the granite countertops and porcelain tile backsplash. Premium appliances include a commercial grade 6-burner Wolf gas stovetop, stainless steel Bosche wall oven, built-in Sub Zero refrigerator, and more. 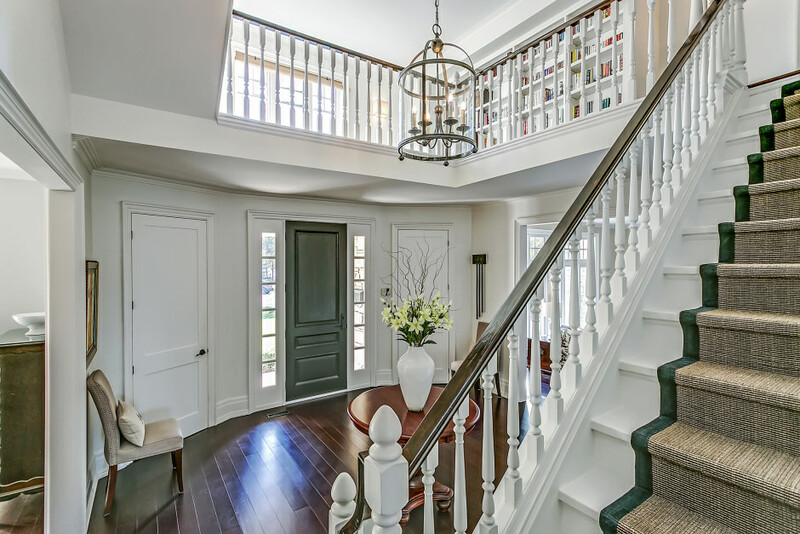 A double French door walkout allows for an indoor-outdoor feel. The central island with leather-finish granite countertops offers bar seating, or dine in the spacious breakfast area opposite a cozy den. A powder room, laundry room, and pool change room with standalone shower are quietly tucked away, with slate tile flooring and additional access to the rear yard. Upstairs, the second level landing is flooded with natural light from the expansive windows overlooking the front yard with lake views. This space is a room in itself, with built-in bookshelves and charming bench seating with hidden storage. The master bedroom also offers lake views, in addition to a 5-piece ensuite with heated tile flooring, Jacuzzi tub, and His & Hers vanity with stone countertop, and a dressing room with custom built-in cabinetry. The main 5-piece bathroom, with marble herringbone tile flooring and a double vanity with marble countertop, services the second, third, and fourth bedrooms. The third floor functions beautifully as a guest suite or “teen haven”, with soundproofed flooring and vaulted ceiling with multiple sky windows. This unique space offers a multi-functional games/recreation room with loft, fifth bedroom, and a convenient three-piece bathroom. There is additional bonus square footage available above the garage, which would be accessed via the master bedroom. This home leaves nothing to be desired, with all the comforts of a custom home and luxuries of a Lakeshore locale, just a quick drive to GO stations and the QEW.